Following in the tradition of the GBV reunion LPs, the band issued a hefty slab of 7'' singles for the release of 2014's Motivational Jumpsuit. The band issued 5 7'' singles, 3 of which contained exclusive B sides. The two other releases were double A-sides (and are not reviewed here, but can be read about here and here). All 7"s were released on black wax and limited to 1000 copies. 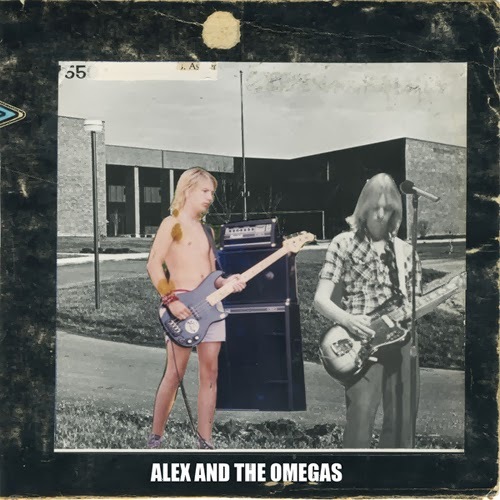 Alex and the Omegas- Same version that appears on the LP Motivational Jumpsuit. Read the review there. Person- 4 Yet another B side Tobin Sprout track on this Motivational Jumpsuit 7'' run. Unlike the other Sprout cuts on the B sides, this is more true to vintage Sprout form. Pensive, hauntingly subtle nostalgia inducing hush rock. One of those tracks that emotionally demands more from you, before you knew what hit you. I'm Dancing Again- 1 Oh no. Drunk Uncle Bob's on the loose again. Distorted guitar crunch and pulsating hammer-on while Pollard moans and yells "I'm Dancing."